A cake decorator is no different! You’ve already learned the basics of how to decorate cakes. 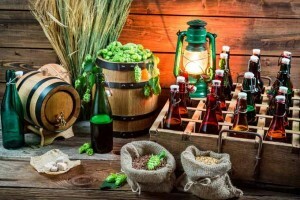 Now you need to gather all the right tools for the decorating process, and know how to use them, to get the very best results in your own kitchen. Avoid the overwhelming Alice-in-Wonderland-esque confusion of walking down the decorating aisle among dizzying rows and rows of tips, spatulas, stands, pastry bags, and boxes. Look to Foodal for guidance! And, no, we won’t be as puzzling as the Mad Hatter or as aloof as the Cheshire Cat. We’ll keep everything straightforward and clear with our ultimate review of cake decorating tools that every baker should own. In this review, we will go over all the main tools you need to have on hand. To make it even easier for you, we’ll provide links to some of our favorites that are available online. We’ll start of with a list of tools, then break it down one by one with a detailed description of each. The first step before picking up that piping bag is to ensure that your cakes are flat and even for the best decorating foundation. A cake leveler is a handy tool if you need to remove the humped crown of your freshly baked cake, or to cut perfectly flat and even layers for stacking. While you can use your favorite serrated knife on its own if you have a steady and skillful hand, levelers are ideal for those who need a little more guidance to create a more precise cut. Read below for our top three favorite cake leveler designs. The MarxHousehold Adjustable Layer Cake Slicer is a common style of leveler that is designed specifically for circular cakes. It resembles a circle- shaped metal cake pan with evenly spaced slits on the sides. The sides of the ring are marked with sizing information, so you can cut cakes in different sizes according to your needs. Made out of stainless steel, this device has two movable handles on the ring, which enables the ring to expand or shrink in size to accommodate cake sizes from 9 inches up to 12 inches in diameter. It’s durable and dishwasher safe, but also very easy to wash by hand. To increase the size, push the handles outward. For a smaller size, pull the handles inward. 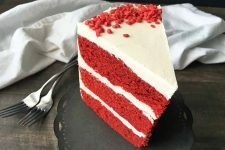 Once you set the right size, fit the mold around your baked cake, and begin slicing your cake at the desired height, rotating the mold to continue slicing. Remove the mold, and carefully separate the layers. They are ready to use! Though the product description advertises that a special baker’s knife comes included with purchase, verified buyers confirmed that a knife is not included. However, it is important to note that a few customers confirmed that the gaps on the ring are definitely large enough to accommodate most knives. Read customers reviews on Amazon now! 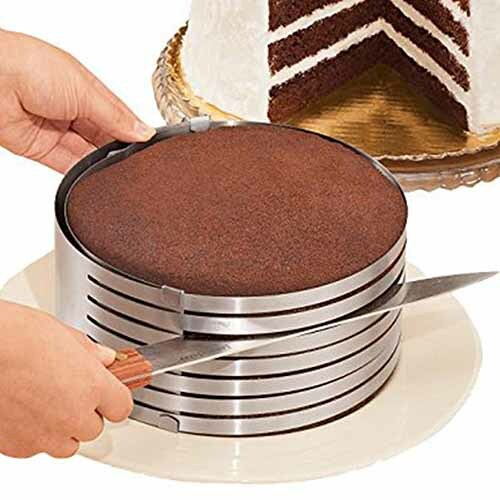 Measuring 12 by 6.25 inches, the Wilton Small Cake Leveler is ideal for smaller cakes up to 10 inches in diameter. 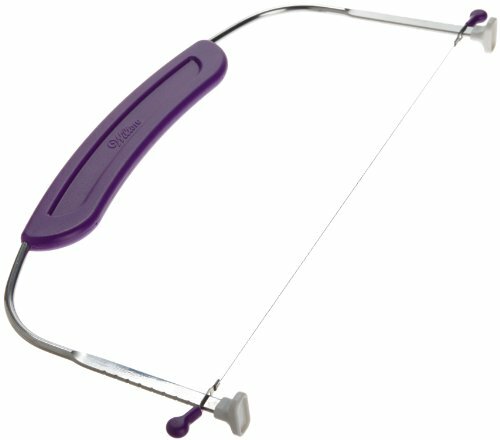 This is the other basic style of a cake leveler that you’ll find on the market– it looks like a bow, with a handle and U-shaped curved metal piece connected by a metal wire. 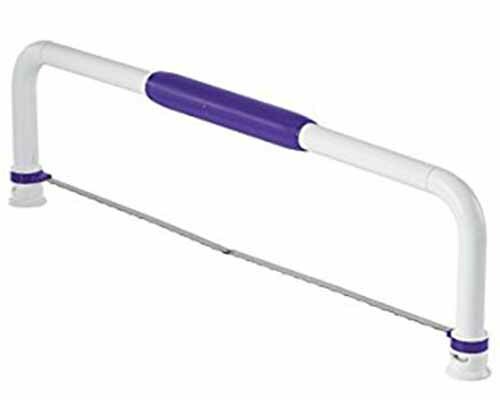 The purple handle fits comfortably in your hand and is easy to grip, making the leveling process even easier for you. The adjustable stainless steel wavy wire blade works like a serrated knife for a clean, even cut that will not pull or distort while cutting the sides. Use the numbered guide on either side of the metal pieces to adjust the purple wire settings, and level each layer at the same height. You can choose from 10 adjustable heights. Once you have made your adjustments, simply place your cake on a hard, flat counter or table and slide the leveler through it. It is dishwasher safe, and also easy to wash by hand. Verified customers confirmed that using this tool it is much easier than using a serrated knife, since the adjustments of the wire on both sides of the leveler ensure each layer is the same height. On the negative side, many customers complained that it takes a few tries to get the movement down correctly, without destroying your cake, and some struggled to make a clean cut. Others had problems with the wire breaking midway through slicing the cake. Wilton does have a return and exchange policy for all of their products, as long s they are received within 180 days of the purchase date. Every order is shipped with an itemized invoice and complete return instructions. If you encounter any problems, simply follow the detailed instructions for a quick and easy no-hassle return. Check prices on Amazon now! For larger cakes, and those with something other than a circular shape, consider buying the Wilton Large Folding Cake Leveler. The design is similar to Wilton’s smaller cake leveler. Measuring 1.2 by 20.9 by 5.6 inches, this design has a longer handle and longer wire to accommodate bigger sizes. The precision stainless steel blade is long enough to cut through a cake as long as 18 inches. The blade can adjust to eight different heights (3/4 inches, 1 inch, 1 1/4 inches, 1 1/2 inches, 1 3/4 inches, 2 inches, 2 1/4 inches, and 3 inches) by twisting both purple adjustments on either end of the leveler, and it locks in place. For easy storage, the cake leveler’s hinged design allows it to be folded in half. It is dishwasher safe, and can also be washed by hand. 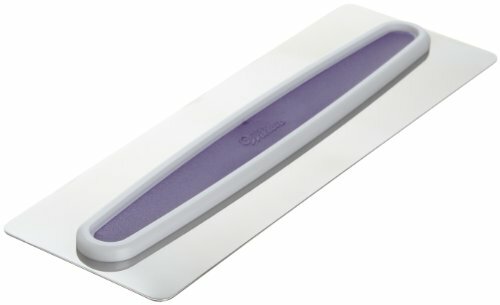 The main critique that has upset many verified buyers on Amzon.com is that the blade is somewhat flexible and flimsy, even though the hinge on the blade does lock in place. 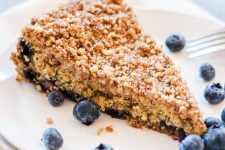 This made it difficult to slice through larger cakes, causing uneven, jagged layers and a lot of crumbs. Despite complaints regarding the floppiness of the blade, the majority of buyers loved this product, and wrote that it was very easy to slice through both large and small cake sizes. The firm handle and adjustments made it simple to slice the cakes with no issues. You can find it on Amazon! Cake boards are cardboard cutouts in varying sizes, typically in even-numbered measurements that correspond with the appropriate cake size. Approach the decorating process with an architectural mindset: the board creates the bottom foundation on which you build your dessert. 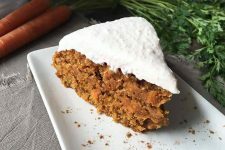 It provides the underlying support for the whole dessert, and is extremely useful when transporting it from the turntable to the plate or stand you will use to display it on. I highly recommend using a board, as opposed to decorating your dessert directly on the display plate or stand. This eliminates dirtying your final platter with crumbs and icing as you decorate, and gives you more freedom of movement when decorating. Use a board option that is slightly larger than your cake, by one or two inches if you want room for piping a bottom border. For example, if you have an 8-inch cake, use a 10-inch board. Use a board option that is slightly smaller, or the same size as your cake, if you do not want a bottom border or want to hide the appearance of the board. Even though you cannot see it, you will still have that helpful underlying support structure. Though you can buy individual cake board sizes, I recommend getting a variety pack, to cover all common sizes with just one purchase. The Wilton 3-Tier Assorted Cake Board Set is a perfect purchase that includes three common sizes of boards. 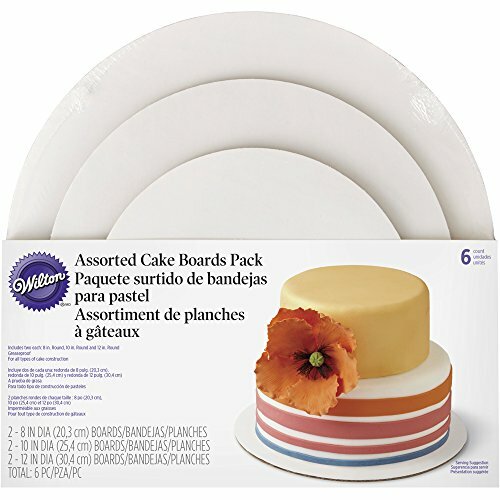 This pack includes 6 cake boards in total, two of each in three standard sizes: 8-inch, 10-inch, and 12-inch. 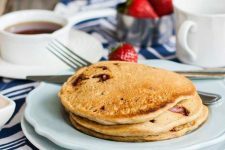 The boards are made of greaseproof white cardboard, so you are able to clean up any buttery messes from your icing with ease, without any grease stains behind on the board. The boards are single-use only, but they are recyclable and compostable. 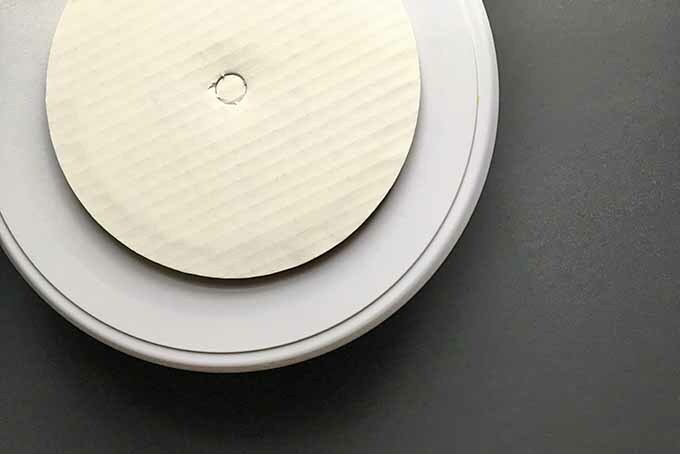 With center-perforated circles, in which a center core rod can be inserted, these boards are designed with the option of stacking cake rounds on top of one another to build a tiered cake of up to three layers. For a tutorial on Wilton’s method for stacking cakes, check out their video on building a tiered cake using their cake board and cake rod products. Verified customers liked that the pack comes with a variety of sizes included. Even when customers had no intention of making stacked cakes, they liked that they had boards available with different diameters for a variety of cake sizes. The greaseproof cardboard is also a huge hit. 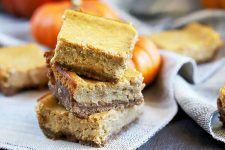 Customers have reported on how pleased they were to be able to simply use a damp washcloth or paper towel to wipe off any excess icing on the board, with no leftover markings. I really like using a turntable. I absolutely, undeniably, 100% love using a turntable. While you can frost your cakes on a plate or platter, this severely limits your range of motion as you are icing. Turn to the turntable as your new best buddy. A turntable resembles a cake stand, with one exception: the top platform is designed to spin around while the base remains stationary. The turntable is an essential companion to have if you want to increase the ease, efficiency, cleanliness, and speed of decorating. You’re able to spin it as quickly or as slowly as you would like, and its smooth movement will help you achieve a smoother, more even spread. Piping details will be easier as well, because you can spin the turntable as you are piping the borders around the edges. Turntables are typically available in two materials: metal or plastic. Read below for our favorite plastic and our favorite metal options. Plastic turntables are very lightweight, and typically less expensive than the metal varieties. They are a better option for beginners, or for those who don’t decorate too often. The Wilton Trim ‘n Turn ULTRA Cake Turntable is a favorite amongst the plastic options. It has a 12-inch platform with a soft-grip ring on top, to prevent the cakes from moving as you spin, and a smooth-rolling track. 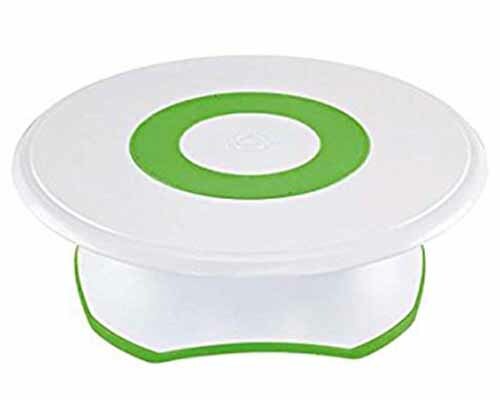 The 3-inch non-slip base offers ergonomic height, and has a lock that you can use if you want to prevent the top from spinning. The platform removes for easy cleanup. The turntable is dishwasher safe, but can also easily be hand washed with warm water and mild detergent. While this plastic turntable is very popular amongst verified buyers on Amazon.com, I find that the spinning power on plastic turntables such as this one is a little weak, and can be choppy. The plastic material is too light to support longer, continual movement, and the base is too light – a problem that has happened to me more than once with plastic turntables is that they can move, even though companies claim they are non-slip. That’s why I turn to the metal options. Read more customer reviews on Amazon now! The metal turntable, while more expensive, is the better option for devoted cake decorators who will use it often. 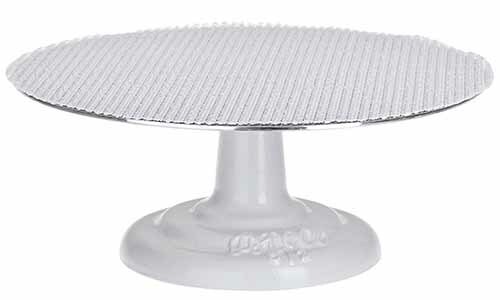 The Ateco Revolving Cake Stand has been my personal favorite for years. The stand is 5 inches high, with a 12-inch diameter platform on top. And the platform is made of 0.125-inch thick aluminum. While there are different options for the material of the base component, such as plastic or aluminum, I highly recommend a cast iron base. It is definitely the best material for this component. The heavy weight of the cast iron anchors the base as you spin your cake, helping the platform to spin quickly and smoothly with no risk of movement. A non-slip pad is included with your purchase, which is the same size as the platform. The pad helps to keep the cake from sliding around as you spin the turntable. For cleaning, do not immerse in water. Clean by hand with hot water and soap, and dry immediately to keep the turntable in pristine condition. Multiple verified buyers gave this turntable top marks for its smooth spinning capabilities and weighted stand. The only downside is that some complained the cast iron base was a little too heavy, and wished it was lighter to carry. I tend to disagree, since it’s weightiness is what makes it such a wonderful option for decorating. The turntable is a phenomenal invention for the baking and pastry world, and I could keep talking about it for ages… but we have other items to discuss! No ordinary rubber spatula that’s sitting in your kitchen tool drawer is acceptable for precise and efficient cake decorating. Don’t believe me? The proof is in the pudding. And by pudding, I mean the smooth final texture of your icing. To get the smoothest, professional-level edible covering for all your cakes, whether it’s Swiss meringue buttercream or chocolate ganache, you’re going to need a special spatula. We’ve outlined three of our top choices below. The angled icing spatula, also referred to as an offset spatula, is specifically designed to apply icing and other soft, spreadable products on a dessert. 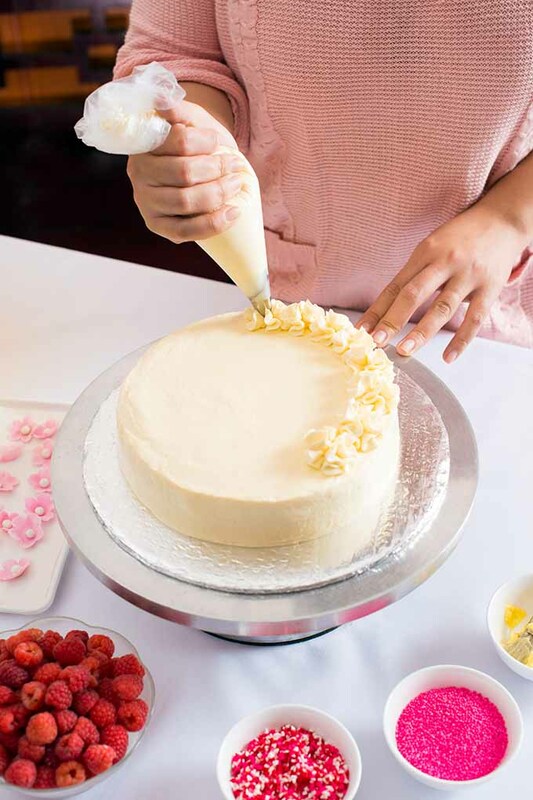 Specifically for cake decorating, the slight angular dip of the metal blade helps to spread icing or filling on a flat cake, without the blade’s handle or your fingers getting in the way of the process. 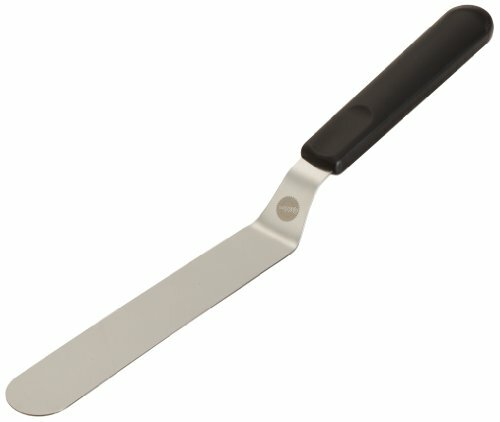 For one of the best offset spatulas on the market, buy the Wilton Angled Icing Spatula. I highly recommend that you buy both the 13-inch and the 9-inch sizes – these are more than necessary for a variety of decorating tasks. I currently have both in my decorating arsenal and use them frequently. Just saying – If I were Edward Scissorhands, and I was given the chance to replace my scissors with any other product, it would be the offset spatula. The larger size is great for standard cakes, while the smaller size is great for topping cupcakes and other smaller desserts. The ergonomic, soft-grip black plastic handle is designed for comfort and makes it easy to use and hold onto. The stainless steel spatula blade, designed with a just slight amount of flexibility, gives you better control and dexterity. This spatula is top-rack dishwasher safe, and can be washed by hand as well. If my endless profession of love for the offset spatula is not enough for you, read the rave reviews of other verified buyers. Buyers love that it makes frosting a cake so much quicker and easier than a traditional rubber spatula will. Note that some buyers felt deceived by the description – The 13-inch and 9-inch measurements refer to the entire length of the spatula, not the blade itself. On the 9-inch spatula, the blade has about 4 1/2 inches of functional service area. On the 13-inch blade, it has about 7 1/2 inches. Get all the details on Amazon now! Other than the offset spatula, another useful tool that you might want to consider for the frosting process is a metal bench scraper. 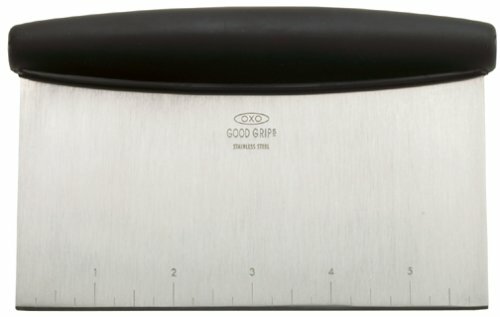 The OXO Good Grips Multi-Purpose Scraper is well loved by chefs and bakers. 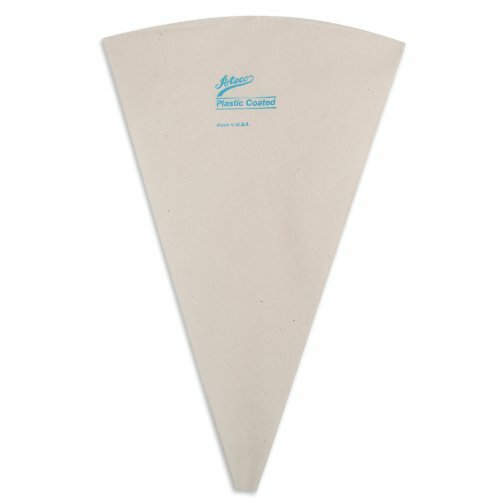 While this scraper is mainly designed to scrape and split bread doughs, as well as to crush and chop other ingredients, it can also be used for applying icing to the tops and sides of cakes. Depending on your grip and scraper size preference, this may become your favorite tool. Many decorators like using a bench scraper instead of an offset spatula. With dimensions of 6.2 by 4 by 1.8 inches, the bench scraper is shorter and wider than an offset spatula. This may give you the feeling of having more control as you ice. I recommend giving both options a try! This scraper is made of stainless steel, and features a soft, rubber, non-slip handle for effortless gripping. It is easy to clean, since the scraper is top-rack dishwasher safe, and can easily be washed by hand too. Verified customers loved the grip on the handle. One buyer commented that it was big enough to grasp with his large hands, yet it was not too large for his wife’s smaller hand size. One customer complained that the handle started to deteriorate after running it through the dishwasher multiple times, and recommended that the scraper should be washed by hand instead of in the dishwasher. For another practical spatula style, the Wilton Icing Smoother is designed specifically for smoothing the final layer of frosting. 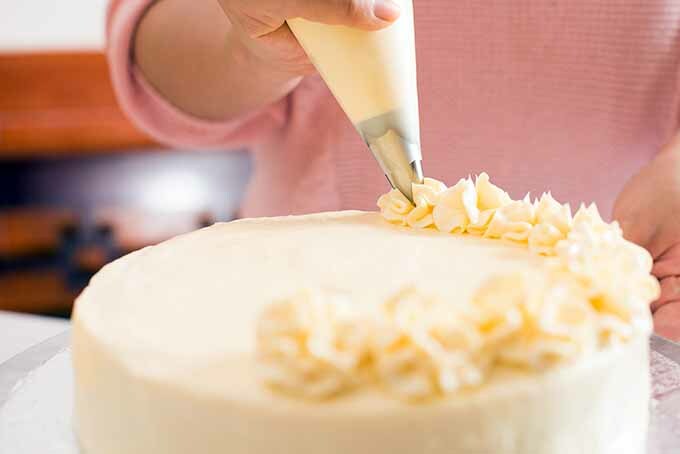 With dimensions of 9.9 by 3.1 by 0.07 inches, this icing smoother is long enough to completely ice the sides of taller, multi-layered cakes for a smooth finish. 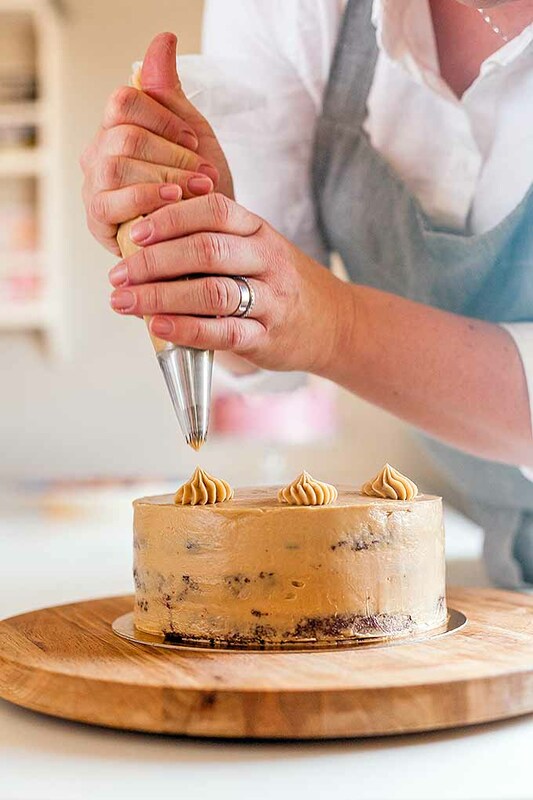 The stainless steel blade covers a large, wide surface for a clean and smooth motion when icing, and the comfortable hand grip is molded to the surface so you know exactly how and where to hold the device. It is top-rack dishwasher safe, and can also easily be washed by hand. 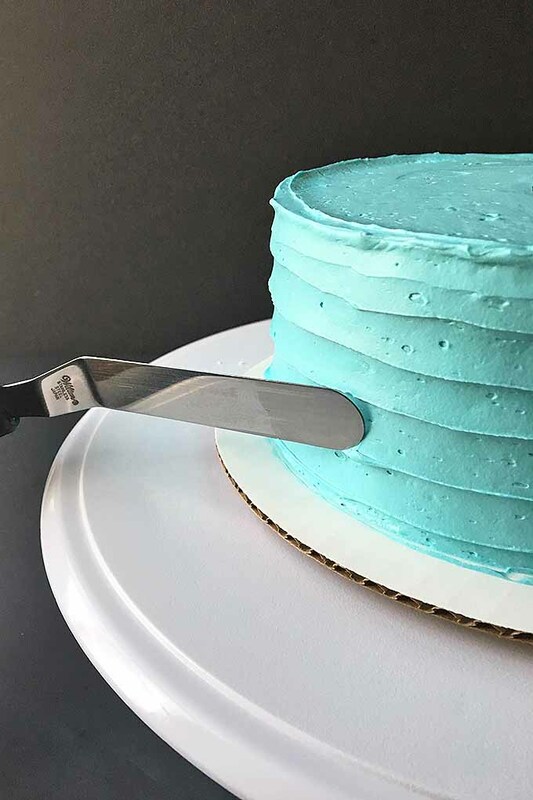 Verified customers liked the taller size of the spatula, which allows them to easily ice the sides of their cakes without having to reapply more icing to the unfinished sections. Buyers also like the rubber grip in the center, since you can maintain a sturdy grip while frosting. On the other hand, many customers complained that the rubber handle in the middle of the scraper is a major design flaw. The excess frosting that you are trying to scrape off the cake ends up accumulating in the center where your fingers are holding the scraper. Customers warn that this can get messy. Be prepared! Read more customer reviews now! To create borders and other extra details, you can use piping tips of various shapes and sizes. These small cones are shaped to produce different designs when icing is squeezed through them. When it comes to piping details, I kid you not when I write that decorating techniques are literally endless. There are countless types of tips available to purchase, and a wide range of applications. For the most basic piping details, I recommend just two styles of tips to get you started: a round tip, and a star tip. The basic round tip, with a circular opening, is a fundamental tool to create simple dots for your border. It’s a clean, modern design that is perfect for those of you who do not want too much detail on your desserts. 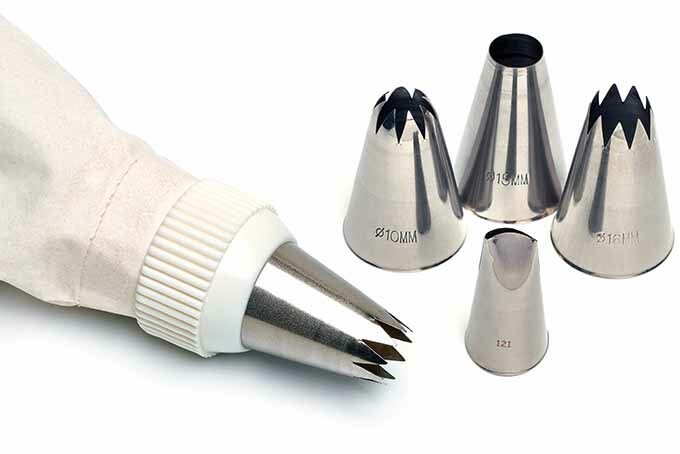 Large round tips are also useful for quick and easy piping on cupcakes. One burst of icing from a piping bag fitted with a large tip creates a perfect mound of buttercream goodness! The basic star tip, with a star-shaped opening, is another great tool to have in your decorating tool collection. The star tip can be used to create a traditional “shell” border as it is typically called, because the grooves and resulting shape resemble seashells. The star tip creates a beautiful border, and it can also be used to make rosettes, a small rose-inspired desigs that can be piped on cakes and cupcakes. I used large plastic tips in my photos, but I recommend purchasing metal tips. The plastic varieties crack easily, whereas metal options are far more durable. 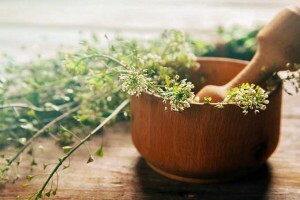 Read below for our top recommended tips to buy. 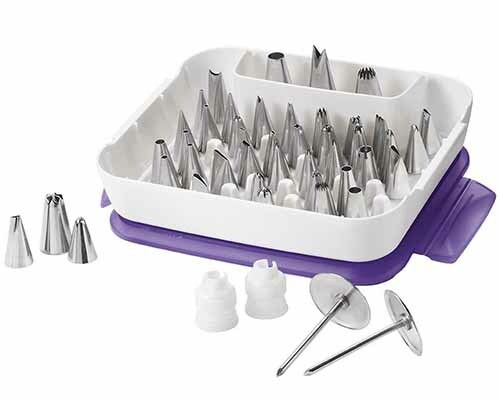 The Wilton Extra Large Tip Set includes three large tips that cover all the basics of easy piping designs: one round tip, one star tip, and one flower tip. According to the Wilton company website, all of Wilton’s metal piping tips are made of non-rusting, nickel-plated brass. Their seamless design and openings will help you to create precision decorations. 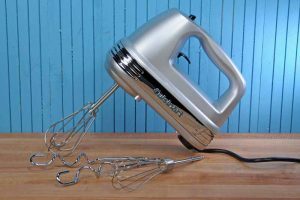 The extra large opening is ideal if you are a beginner with piping, since you do not need as much accuracy or effort to squeeze icing out from a larger tip. 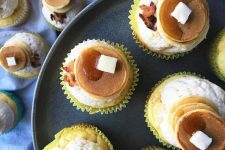 As mentioned above, the larger opening is also ideal for easily decorating cupcakes, since you can squeeze out one perfectly delicious dollop of icing on top of a cupcake to cover the entire area. Cute and tasty! Verified customers liked the larger size of the opening on the tips, especially for cupcake decorating. Fitting the tips inside a disposable pastry bag was easy – customers just had to cut the bottom until the tips fit appropriately. 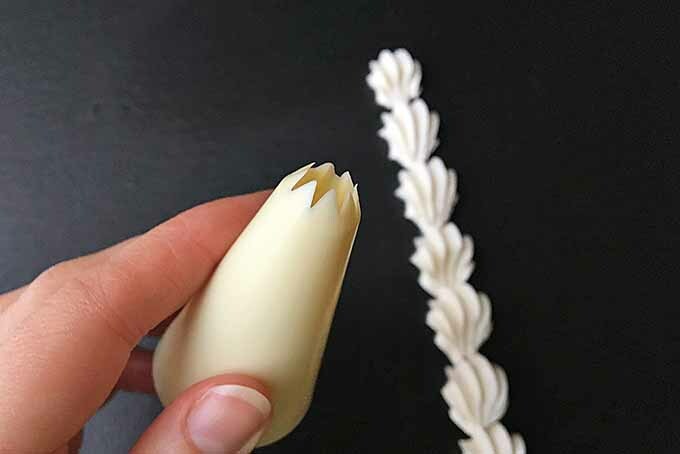 One buyer thought the tips were too flimsy – the buyer had difficulty piping, and noticed that the points on the star tip were bent after piping with a thick cream cheese frosting. Overall, the majority of customers love these tips. I recommend making sure your frosting is not so thick that it actually causes you to struggle with piping, since that can potentially damage your tips. Check prices and availability on Amazon now! The Wilton Master Decorating Tip Set includes 55 metal decorating tips, 2 couplers (we’ll explain more on what couplers are below! ), and two flower nails. For the most versatility with decorating, choose this option to get a wide selection of tips for a variety of design options. The plastic container holds 55 standard-sized tips and allows for nesting of up to three tips resting inside one another. A separate deep compartment holds couplers, flower nails, and oversized tips. The storage tray nests on its lid to maximize space and is angled for easy viewing. As mentioned above, all Wilton tips are made of non-rusting, nickel-plated brass. 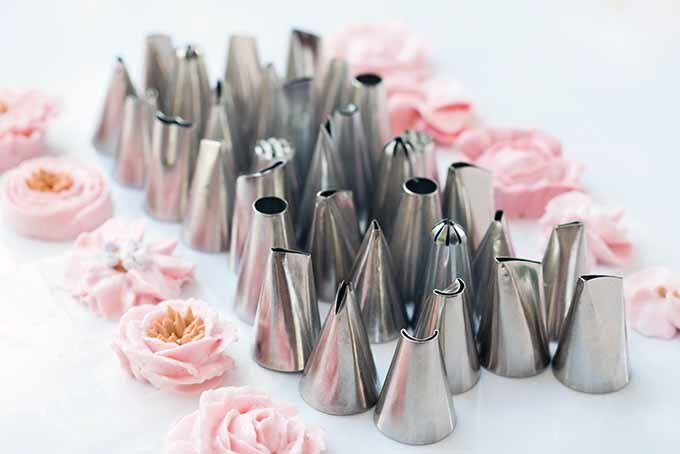 The flower nails, made of stainless steel and measuring 1 1/2 inches each, provide the control you need when piping icing flowers. The set of couplers provided are for standard-sized tips and cannot be used for extra large tips. This set includes all the tips you need to explore fun decorating techniques – in addition to the basic round and star shapes, you will have petal, leaf, ruffle, basket weave, and drop flower options to create different designs. Verified customers on Amazon.com who were looking for the best tip set were very pleased with Wilton’s Master Decorating Tips. They liked that it came with a case, and organized storage units for each tip. Many appreciated the variety of tips, which allowed them to apply numerous styles of decorating with icing. The main complaints were due to broken pieces on the case, like a broken handle or a chipped lid. But they were able to exchange the product for another set with no issues. Read all of the customer reviews on Amazon now! While Amazon.com describes the Wilton tips as being dishwasher safe, Wilton recommends (and so do I!) that they should be cleaned by hand. This goes for all brands of tips, not just Wilton’s. 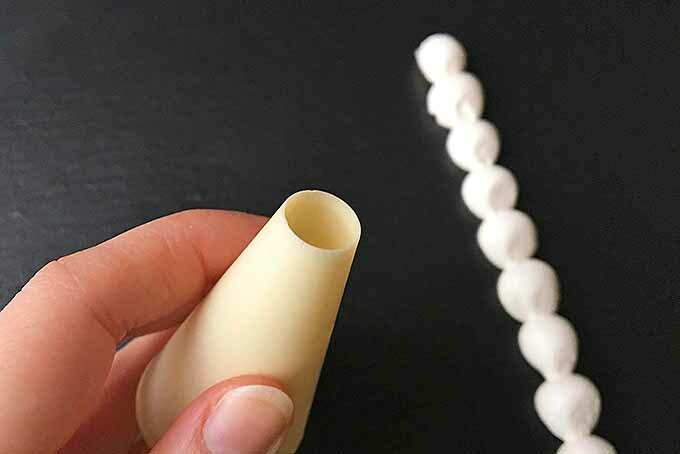 Piping tips are too small and delicate to survive a forceful dishwashing cycle, and far too easy to lose! I have always considered tips to be my precious, yet mischievous, children – you need to keep a close eye on them, or else they will run away. Best to wash them by hand, under your watchful eyes. To keep tips in perfect condition, wash after each use with hot, soapy water. 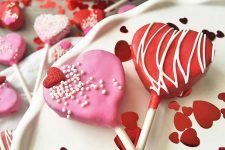 If bits of icing clog the opening (which will happen – butter and sugar love to stay after hours inside the tips), gently use a tip brush, or just a regular toothbrush to clean icing away. And be sure to air dry them in a separate bowl, away from all the other dishes – they have a tendency to disappear if you don’t have a designated drying area for them. Even after air drying, moisture tends to stay inside the tips. Dry them thoroughly before storing with a small hand towel or piece of paper towel. 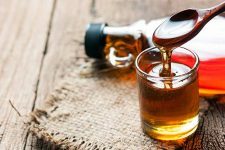 Once they are all dry, place them back in the appropriate container immediately, making sure that each one fits right side up on a peg to keep them organized and in perfect condition. 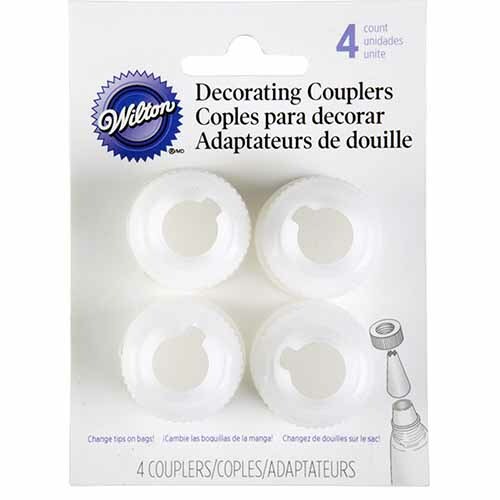 As described on Wilton’s company website, a coupler is a two-piece plastic tool that fits on the bottom tapered end of a decorating bag. A coupler has two main functions: to hold a decorating tip in place, and to enable you to change tips without changing bags. This is useful when you want to use a different tip with the same color of icing. Usually, couplers will come included with the purchase of tip sets. You should have two different sizes of couplers on hand. The standard couplers will be able to fit most standard sized tips that are typically sold in sets. You should also have large couplers available for use, for when you use your large or extra large tips. Put the coupler base (the bigger piece) inside a cut piping bag, with the tapered end facing down. You want the tapered end to protrude slightly through the bag opening, but no so much that the piece falls out. Position the desired tip over the tapered end that is sticking out of the bag. To hold these two items in place, twist the coupler ring around the base on the outside of the bag around the tip, twisting until very tight and everything holds together on its own. When you want to change tips, just twist off the ring, remove the tip that’s in use, replace with the new tip, and twist the ring back on. No need for a new bag! 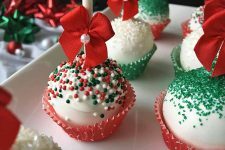 You must use piping bags along with the tips to keep your icing in a contained area, and to help push it through the tips. 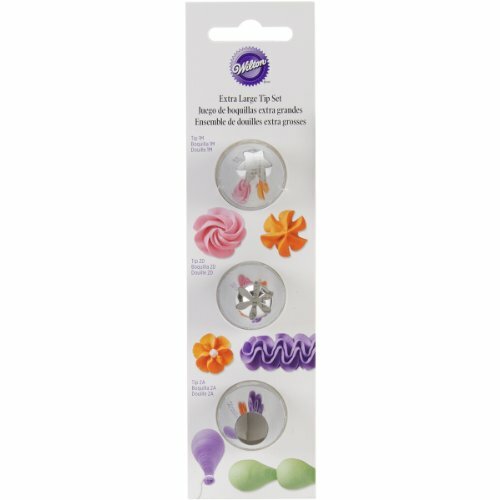 Tips fit inside the tapered end of a piping bag, thus creating the ultimate dynamic duo of cake decorating tools. Piping bags are available in a range of sizes, styles, and materials. Our top three selections will give you a good idea of the different varieties there are to purchase, so you can make the best decision. 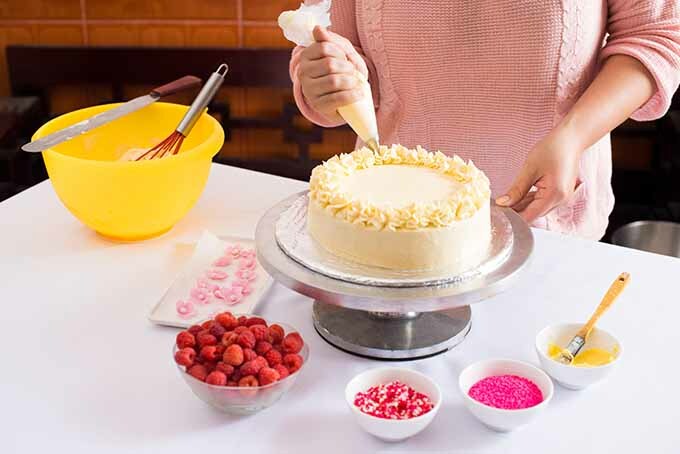 Disposable plastic piping bags are useful if you don’t want to worry about a messy cleanup after decorating (especially with all of that sugar and butter in our American-style vanilla buttercream!). Once you have used your bag, you can simply take out the tips and throw it away. 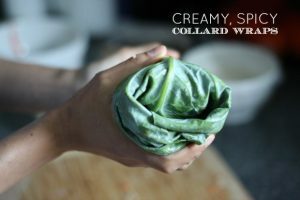 They are quick, easy, and the cleanest option. 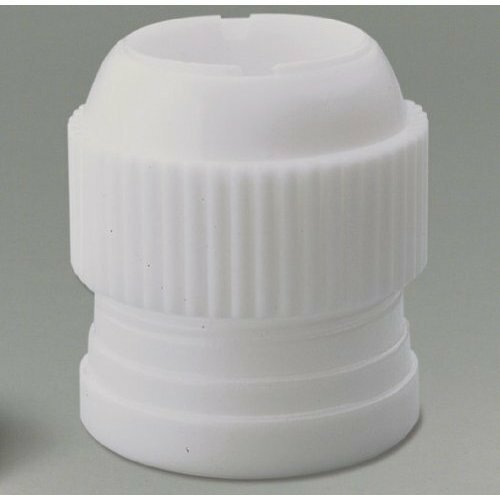 One of the best disposable plastic piping bag products is the DayMark PipingPal Disposable Pastry Bag. 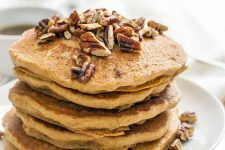 You can purchase them in a range of sizes, depending on how much frosting you would like to store in a bag at one time: 12-inch, 18-inch, or 21-inch. This product, made in China, is available in two bulk quantities; you can either purchase 6 rolls of 100 without a dispenser, or a roll of 100 with a cardboard dispenser box. The plastic bags are attached in a roll, and each one can be ripped off the roll along a perforated line. The plastic is made from an FDA-compliant and EU-certified food grade material. Because they are disposed of after use, they carry no risk of contamination due to improper cleaning. 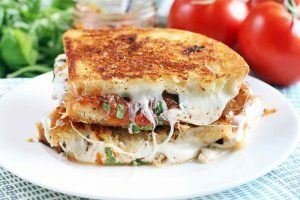 The plastic features a durable seam to prevent bursting when working with heavier, textured fillings – like a dense cream cheese frosting or frostings made with solid ingredients, like shredded coconut or chocolate chips. These bags are uniquely designed with a 45° angle that allows you to grip the bag more easily. They also feature an exterior textured surface, resulting in an anti-slip grip. The interior of the bag is smooth, in order to enhance easy product flow out of the bag. The PipingPal Pastry Bag fits all tips and couplers, and can easily be cut to accommodate all sizes. Verified customers were thrilled to find piping bags in bulk with a dispenser included, especially avid cake decorators who needed a lot of bags on hand at one time. They also liked the amount of time that is saved by simply throwing them out without needing to worry about cleaning every bag. The thick, durable plastic and textured exterior were also applauded by buyers. On the downside, some buyers thought the textured exterior was a little weird, and too sticky to the touch. For others, the plastic was just a little too thick, making it difficult to fill with frosting. If you prefer the option of using your piping bags more than once, there are plenty of reusable options for you to consider. 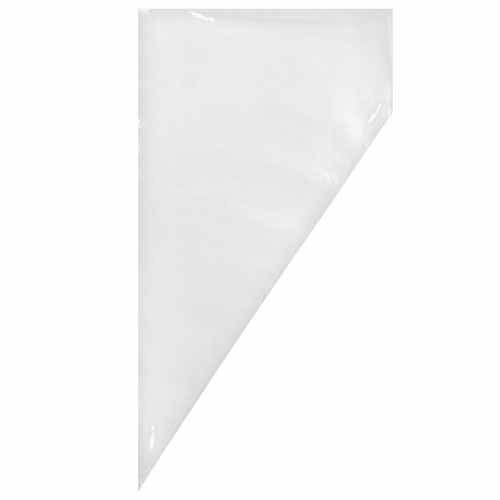 The Ateco Plastic Coated Decorating Bag is a favorite in home kitchens and bakeries alike. It’s also my own personal favorite for a reusable option! These are available individually. Ateco, a US-based company, offers a battalion of size options ranging from an 8 to 24 inches. The bag is made of print cloth lined with a polyethylene plastic. The print cloth gives you a better grip as you hold the bag. 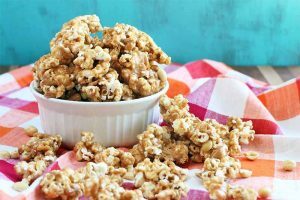 The plastic coating on the interior helps your product to more easily slide out of the bag, and it also makes the cleanup process very easy, as your icing won’t stubbornly stick inside the bag as you clean. The top of the bag has a rustproof eyelet installed, so you may hang your bags on a hook to dry, and when not in use. Hand-washing with mild dish soap and warm water is the recommended method for cleaning your bags. Allow to air dry inside out. 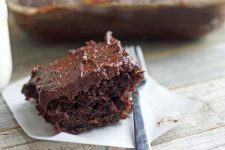 The majority of verified buyers love the multi-use value of the Ateco pastry bag, and appreciated the different size options that can accommodate small and large amounts of their frosting. One customer did complain that the interior plastic coating started to crack, but this was a very rare occurrence amongst verified buyers. Other customers complained that the bag was too stiff upon purchase, but with multiple uses and cleanings, the bag does lose that stiffness. Find out more on Amazon now! Another reusable material option that you should consider for your piping bags is silicone. 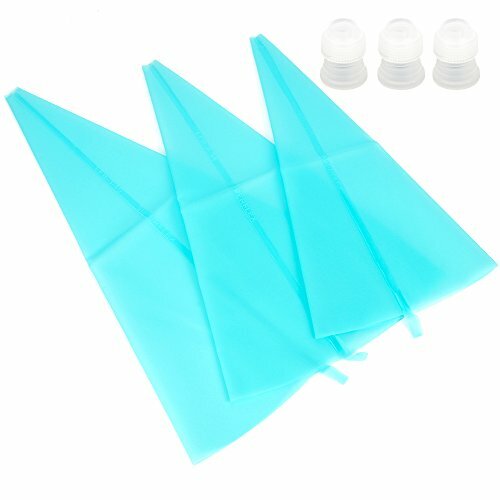 While I don’t have any experience using silicone bags, they seem to be a popular choice among verified customers on Amazon.com. If your interest is piqued, try the MCIRCO Silicone Piping Bags. Three silicone bags, each a different size (12.4, 13.38, and 15.35 inches), and three white plastic couplers, are included with your purchase. According to Amazon.com, they are reusable, practical, flexible, lightweight, portable, and durable. The couplers are made of BPA-free plastic. The bags are made of food-grade silicone, and are therefore 100% safe and non-toxic. And let’s not leave out that they are an awesome blue color! The tapered end can be trimmed easily to fit any of your tips or other couplers. To clean, hand washing with warm soap and mild dish detergent is recommended. They come with an attached loop if you want to hang your bags up to air dry. MCIRCO provides a 6-month warranty with every purchase. If you are not fully satisfied, you can get a full refund. With your order number, you may contact the seller directly from the Amazon Buyer Center if you need help or have any concerns. Verified buyers love the material, and how flexible and durable the bags are. Cleaning them is very easy, according to the majority of buyers. Because the material is a little thicker than disposable plastic, some customers had difficulties piping more detailed designs with smaller tips. They had to squeeze extra hard, causing some frustration. Check prices and read more customer reviews on Amazon now! 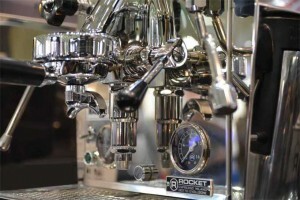 You must take into consideration the size of your piping tips compared to the size of the bags. And you may need to cut the smaller end of the pastry bag to properly fit the tip or coupler. This is why the disposable plastic bags are a great option. It’s simple to cut plastic bags to the desired size to properly fit a tip. While you can easily toss a disposable bag if you make a mistake in how much you cut off, you need to be more cautious when cutting reusable bags. Start by cutting off just a small amount first, then judge if you need to cut more or leave it as is. Oh, and don’t forget to immediately throw away the cut pieces! 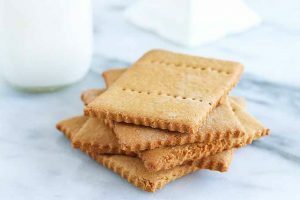 My pastry instructor would dock points from our practical tests if we didn’t toss out the pieces as soon as we cut them – those tiny little plastic pieces could end up in your icing. Not exactly what you want to find when you take a bite out of a huge forkful of cake! We hope that our review to cake decorating tools will help you pinpoint exactly what you need to buy. There are a variety of tools to consider, so think of what would work best for your own personal needs. And remember, this is just a basic guide to essential cake decorating tools every baker should own. Continue expanding your tool collection as you develop your skills with new decorating techniques. If you need some extra help with learning how to decorate, definitely read our guide to basic cake decorating. You’ll learn how to apply all the tools you just purchased with our decorating techniques and easy 10-step cake decorating tutorial. 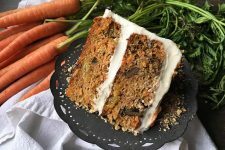 Looking for cake and icing recipes? We have plenty! Try our vanilla butter cake or chocolate cake recipes, and make a huge bowl of American-style vanilla buttercream or Swiss meringue buttercream to use with all your new decorating tools! What are your favorite tools to use when decorating cakes? Is there a tool we didn’t mention that you love using? Let us know in the comments below! Photos by Nikki Cervone, © Ask the Experts, LLC. ALL RIGHTS RESERVED. See our TOS for more details. Uncredited photos: Shutterstock and var. manufacturers. Hi, can you share what tip you are using in the first photo for the white cake? Looks like this is an 18 star tip! What is the tip in the last photo? the brown cake? thanks. Not 100% certain, but this is an open star, possibly an 8b. Looks like an 8b to me too.